I've grown quite a lot as a powerlifter since that very first deadlift, but even though my relationship with the sport has changed over time it's been a huge part of me since day one. I trained vigorously so that I could compete and finally call myself an official competitive powerlifter, and since that first meet I've melted into that identity. Who am I? Easy. I'm a powerlifter. Then, when I moved back to Texas I took at job at a kickboxing gym and another very large part of my identity became being a 9Round kickboxing coach. Since taking that job this part of me has gotten larger and larger and larger. And here we are today where being a 9Round trainer is almost ALL of me. Except for the part of me who is still a powerlifter. I've never let go of lifting nor do I ever plan to. But the time that I have to dedicate to it continues to shrink, and I have to keep coming up with new and more creative ways to get my lifts in. When I had the luxury of being able to follow a strict lifting program that's what I did. But as my time and energy wanes I have to think up new ways to structure my sessions. I've gone through a handful of different ideas and schemes over the last 4 months, and now I'm rearranging yet again. While it's frustrating having to sacrifice so much of my time and dedication to powerlifting, I'm just not ready to throw in the towel yet. I'm not done being a powerlifter. I never want to be done. And a large part of me keeps thinking that all I need is time to fully adjust to my new schedule and my new commitments (all the things that have put lifting on the back burner), and once I've adapted I'll be able to make more time for lifting. 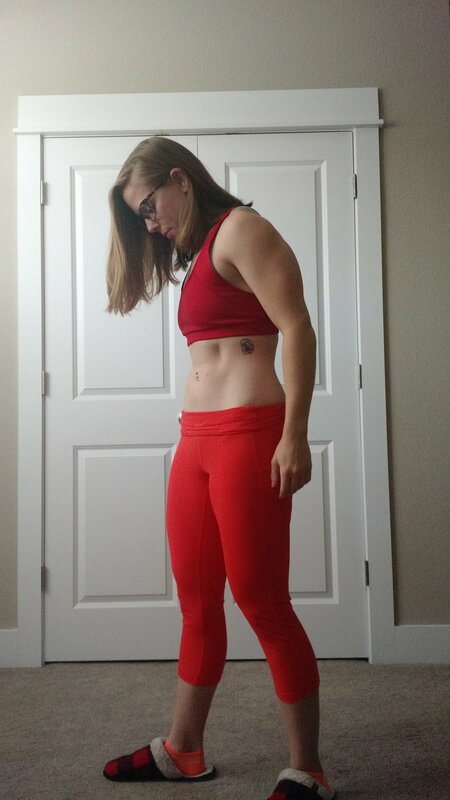 So I've got that piece of hope pushing me along, and I've got the sheer grit and desire to maintain my powerlifter's identity keeping me determined. But I'm not going to lie, it's been hard. It's been hard to accept that, at least for the time being, there is no way I can compete. It's been hard to have to really evaluate how I'm feeling some days and make the choice NOT to lift. It's been hard squeezing in those last minute lifts after an incredibly busy day when the last thing I want to do is lift. It's been hard having to prioritize lifting below so many other things. It's different, and it's been a definite struggle as of late. I strongly believe that everything happens for a reason, and this struggle will only make me strong no matter what the outcome is... But if anyone's been wondering where exactly the LIFT in Katelift went, now you know. She's still here, but barely for the time being. Please hold.